We are committed to bringing you the very best orthodontic care and this starts with the education and experience of Dr. Sarkis Euksuzian born in Valence, France. Originally from southern France, Dr. Sarkis Euksuzian moved to the United States at the age of seventeen. Soon after, he began the rigorous academic instruction necessary for the field of orthodontics. After earning his undergraduate degree from Rutgers University, he received his Doctor of Medical Dentistry degree from the University of Pennsylvania Dental School, graduating with highest honors. He then completed three years of specialty training in orthodontics during his residency at Albert Einstein Medical Center in Philadelphia. Dr. Sarkis Euksuzian has worked very hard to be the very best in every aspect of his life and he is committed to continuing to do so by bringing you the very best in orthodontic care. 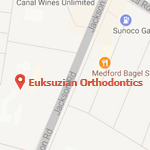 Dr. Sarkis Euksuzian has been in the specialty practice of Orthodontics since June 1979. 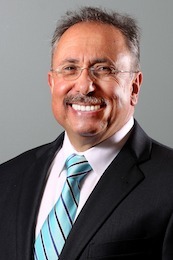 Dedicated to his profession, Dr. Sarkis Euksuzian regularly attends professional conferences to stay abreast of new techniques and technology. 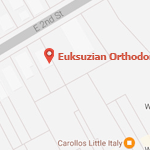 Dr. Sarkis Euksuzian specializes in orthodontics and facial orthopedics for children and adults and is an active member of several organizations, including the American Association of Orthodontists, the Middle Atlantic Society of Orthodontists and the New Jersey Orthodontics Association. He is also a member of the American Dental Association. Dr. Sarkis Euksuzian is considered a well-known pioneer in the field.